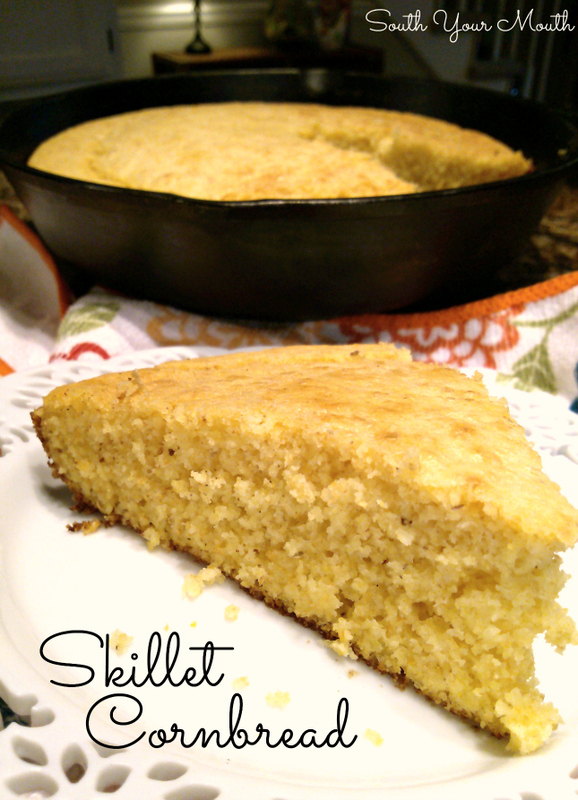 Classic Southern cornbread recipe made in a hot skillet with buttermilk and bacon grease. There are a few things that go into making great cornbread. These are not laws and you can certainly still make good cornbread without them. But if you want great cornbread, you need two things: a hot cast iron skillet and bacon grease. I think most folks who've cooked their share of cornbread will agree on these two points. But here’s where folks disagree. Some like it sweet and some don’t. I tend to like mine without (much) sugar. I do put a little in mine and, before you start fussing at me, trust me when I tell you, this is not a sweet cornbread recipe. The small amount of sugar in this just brightens it up a little. You can leave it out if you prefer or you can add more to suit your taste. To get that crispy “rind” on your cornbread, you have to heat your skillet until it’s scorching hot, add bacon grease and return the skillet to the oven until the bacon grease is sizzling. Then you pull it out just long enough to pour the batter in and immediately return it to the oven to bake. The magic happens when the batter hits the hot grease. And using bacon grease just gives it another layer of flavor. You get a hint of smokiness in there that just can’t be beat. I've used vegetable oil or lard in a pinch, but if you've got it, definitely use bacon grease. Preheat oven and skillet to 450 degrees. Remove skillet from oven and add enough bacon grease to coat the bottom and sides of an 8-10 inch cast iron skillet (or equivalent sized pan). Place the skillet with bacon grease in the hot oven while you make your batter. Combine cornmeal, flour, baking powder and salt in a medium bowl; stir to combine. In another bowl, combine buttermilk, egg, vegetable oil and sugar (if using) and mix well by hand. Stir in dry ingredients and mix until just combined – don’t overmix the batter, some small lumps are OK. Batter will be thin. Remove skillet from oven and immediately pour batter into pan. Bake at 450 degrees for 10-14 minutes or until cornbread is browned around the edges. Remove from oven then serve. Substitute vegetable oil for bacon grease if necessary then ask the Lord for forgiveness for throwing away your bacon grease. You can make a substitution for the buttermilk by adding 1 tablespoon white vinegar to a glass or plastic measuring cup then filling to the 1.5-cup mark with regular milk. Let sit for at least 10 minutes. Don’t use a metal vessel for this as it may react to the vinegar. Bacon grease is the key! But isn't it always? Haha! This looks delicious! I'm anxious to make it with both milks...can't wait to try it! Crumbled bacon is the one of the ingredients in our skillet corn bread. We are always looking for new ingredients to put in ours (cream corn, jalapenos, cheese!). We love to experiment with ingredients in the bread. Thanks for the recipe will put that into the cornbread file after we make it ! Mandy, you're such a hoot and wise to boot! (And I'm a poet apparently!) You are 100% correct on the bacon grease and the buttermilk. The combo is a big part of big taste and texture in cornbread. I made a (cast iron) skillet of it last night and also added a couple of good dashes of Cholula hot sauce before baking it. Miss Lula added flavor as opposed to heat and the whole skilletful got gobbled up faster than usual by my discerning cuisine critics. That's how we'll be doing our cornbread in Beaufort, SC! 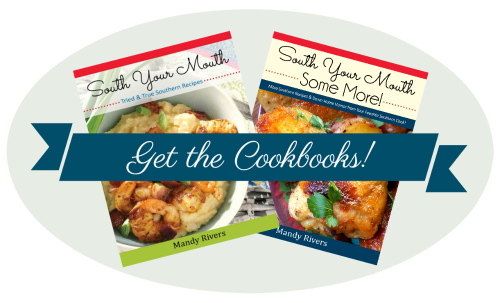 Growing up in a Southern home I often helped my mother make dinner. These are basically the same items I used to make cornbread for the family. There's no other way to make good cornbread except using these ingredients & the old iron skillet, imo. Does anyone know if you can use the powdered buttermilk. If you reconstitute it with water. I just made this and God Bless America, this is good! My hubby likes it sweet, so I put in 2/3 cup white sugar. Also, medical necessity required a diet change so I didn't have bacon grease (sadly), so I used vegetable oil.Those were the only changes. This is basicly mine recipe my mama taught me! I do use all buttermilk with my bacon grease or if I don't have any I use melted crisco! Still yummy especially with beans or bean soup! My grandson's favorite meal! A true person from the South does not put any sugar in their cornbread. I have the secret ingredient to put in it and my husband was from Alabama. Well... What is the secret ingredient?? ?